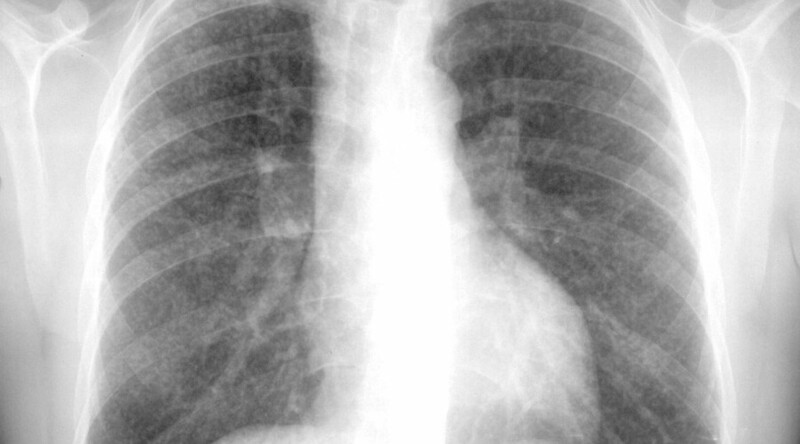 Silicosis simple. Photo by Gumersindorego, Wikimedia Commons. "I am confident we will finalise the settlement within six weeks," Richard Spoor, the human rights lawyer who has spearheaded the class action suit over the disease silicosis, which gold miners contract while working underground, told Reuters. A spokesman for the working group on Occupational Lung Disease (OLD), a group put together by the six companies involved, said it was is "hopeful" the settlement can be reached in that timeframe. In February, Graham Briggs, the chair of the working group, said the settlement was seen within "months". On top of the 5 billion rand that companies have made in provisions, there is 4 billion rand available from a compensation fund to which the industry has been contributing for years.